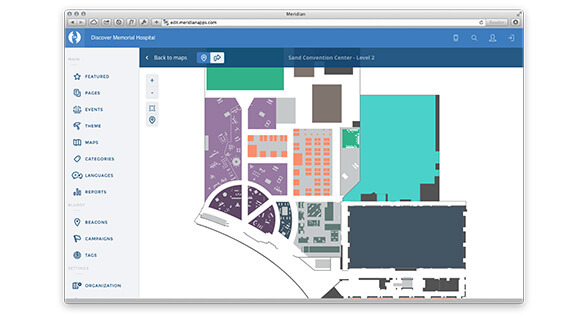 Meridian is a mobile-app software platform that allows public-facing enterprise venues – retailers, hotels, casinos, resorts, airports, hospitals, and convention centers – to create or improve mobile apps that engage visitors on their mobile devices. The platform’s cloud-based Meridian Editor is a software-asa-service (SaaS) content management system (CMS) that houses a location’s Meridian-powered app content. It offers an easy way for venues to create a complete app from scratch with its AppMaker features. Alternatively, venues that already have a mobile app can use the Meridian software development kits (SDKs) to integrate navigation and proximity notification capabilities. Meridian supports the creation of apps for iOS and Android devices for both types of deployments (white-label and SDK). ¿Cómo innovar con Aruba Meridian? What is the Main Purpose of the Meridian APP? Here are a few more Mobile Engagement links to digest. How to reset the Campaign on APP Viewer for push notifications. How to integrate ALE with Meridian?